Christmas is the perfect time for indulgence. It’s also the perfect time to show your customers and staff just how much you appreciate them. Why not have yourself a merry little Christmas, and turn your office Christmas party into a winter wonderland with one of our corporate Christmas dessert tables? Our candy cane forests sitting proudly on one of our decadent Christmas cakes are a joy to behold. 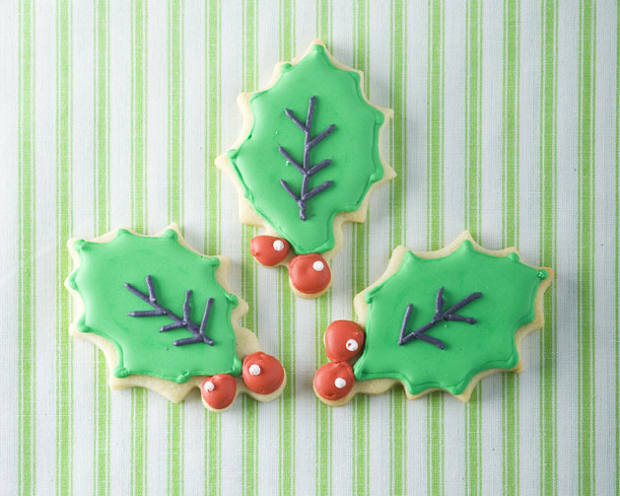 We can go as crazy or traditional as you like, from an eclectic mix of cupcakes adorned with reindeer, snowmen, Christmas trees and Santas, to traditional spiced festive cookies. Our baking elves in the Cakes by Robin kitchen will make sure everything is decorated beautifully and tastes delicious. We guarantee our Christmas treats will bring Joy to the World. Our boxes of Christmas cupcakes always go down a treat. Why not get a batch of our corporate Christmas delights delivered to your valued clients? It’s a great way to thank businesses for their valued custom and with your logo sitting proudly on top of the Christmas treats, it’s a cheeky bit of advertising too! Or if you want to bring a bit of festive cheer to your Christmas meetings, good coffee and a slice of one of our delicious Christmas cakes will most certainly add to the occasion. Alternatively, our personalised Christmas biscuits are sure to impress. 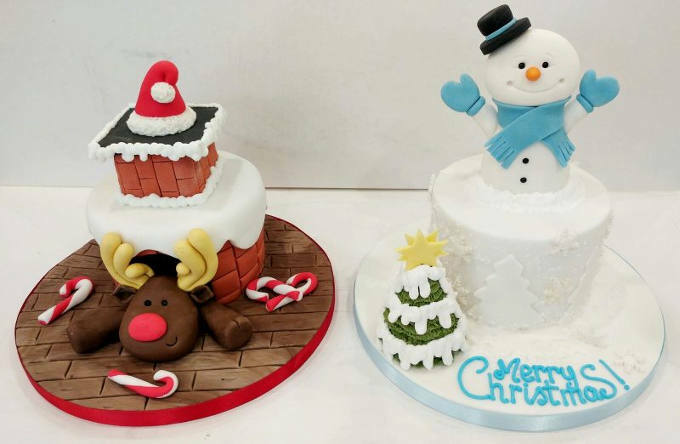 At Cakes by Robin we have the ideal combination for making the best yummy Christmas treats ever – we love baking and we love Christmas! We know a trick or two about baking and can put an imaginative twist on classic cakes. Show-stopping cakes and cookies are our speciality, so expect some delicious Christmas surprises from the cheeky elves in the kitchen at Cakes by Robin. Whether you want a show-stopping cake for your big corporate event, boxes of delightful cupcakes for your valued customers, or personalised cookies as a yummy treat for your staff, we can create the perfect cakes and foodie gifts to add that little bit extra to the festivities. We make cakes that bring people together, so spread the word. Go, tell it on the mountain.